Would AT&T, T-Mobile Merger Hurt Consumers? : The Two-Way Some analysts say the merger would only benefit AT&T, which would leapfrog Verizon to become the largest wireless provider in the country. In some markets, it would give AT&T more than 50 percent market share and analysts predict it would increase prices for consumers. AT&T disagrees. Would AT&T Merger With T-Mobile Hurt Consumers? This June 2, 2010, file photo shows the AT&T logo in Washington, D.C. The U.S. Justice Department will seek to block AT&T's proposed $39 billion acquisition of T-Mobile. When two big companies announce plans to merge, there's always grumbling about what it will do to the market and especially the consumer. The Justice Department said today that it would try to block the merger of AT&T Inc. and T-Mobile USA Inc. because it would "substantially lessen competition" in the wireless market. Some analysts point out that mergers of this kind have been approved in the past without dire results. Think of the Yahoo-Microsoft deal, which brought two of the three biggest search engines together. Or think about the XM-Sirius merger, which consolidated the top satellite radio companies. 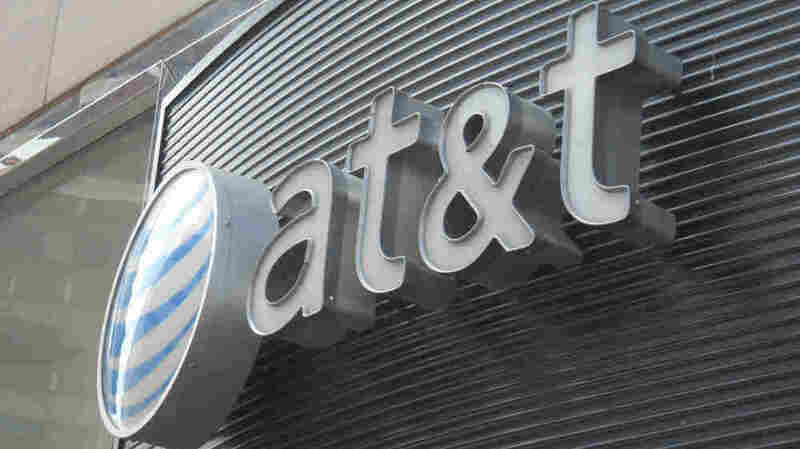 The merger of AT&T and T-Mobile would shrink the field of national wireless carriers from four to three. But would it really hurt competition in the real world? Jeff Kagan, an independent analyst of the telecom industry, says yes. He agrees with the Justice Department which in statement said the merger would result in "tens of millions of consumers all across the United States facing higher prices, fewer choices and lower quality products for mobile wireless services." Kagan said this deal only benefits AT&T. "This deal was going to help AT&T but not the industry," said Kagan. "AT&T has a spectrum shortage and this deal will solve AT&T's problems, but only for a few years." A deal like this will also raise prices for consumers, said Kagan. T-Mobile is the cheaper of the carriers and a merger would limit that choice. A study released this month by the Yankee Group, which researches and analyzes technology companies, supports Kagan's analysis. It found that from the spectrum perspective the merger "appears to expand network coverage and improve performance for AT&T customers," but from the market perspective, the Yankee Group found the merger "will increase market concentration, reduce consumer choice, and open the door for price increases in the most heavily populated U.S. wireless markets." In some cities, like Miami, for example, AT&T would have 53 percent of the market share if a merger happens. That's up from 39 percent, now. In Dallas that number would go from 40 percent to 54 percent; in San Francisco from 44 percent to 52 percent; in Houston 32 percent to 50 percent. AT&T disagrees. In a statement provided to The Wall Street Journal, Wayne Watts, AT&T senior executive vice president and general counsel, said the company was "surprised and disappointed" by the Justice Department action. "The DOJ has the burden of proving alleged anti-competitive affects [sic] and we intend to vigorously contest this matter in court," Watts said. He added that the merger would "result in billions of additional investment and tens of thousands of jobs at a time when our nation needs them most." Kagan said he expects for AT&T to issue a counteroffer. He said this particular merger in the telecom industry doesn't make sense. But that doesn't mean all mergers don't make sense. "As long as we have three companies, it's a healthy wireless market," he said. "As long as it's the right three." What Kagan means is that a deal like this only makes AT&T stronger. It would allow it to leapfrog Verizon to become the biggest carrier and would marginalize Sprint even more than it already is. If Sprint were to acquire T-Mobile — which has been rumored for years — Kagan believes that would still leave enough healthy competition not to affect the market. In fact, he said, it would bring Sprint closer to the big two and make it more competitive.